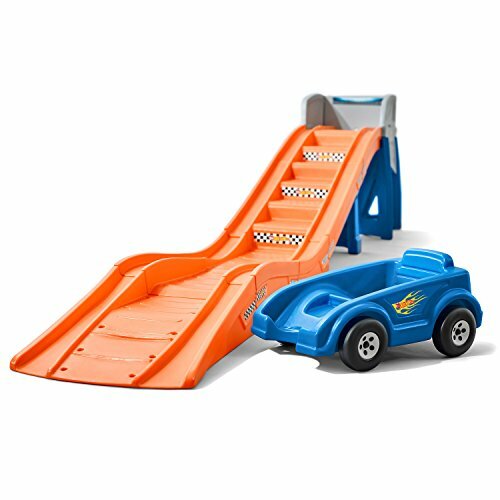 When it comes to a kids roller coaster, it just doesn’t get any better than the Hot Wheels Extreme Thrill Coaster Ride On by Step2! That’s because your child knows the difference. For instance, they’ll know its tracks are longer and higher than others. They’ll know the kids coaster ride on (aka the Hot Wheels toy car) feels comfortable and safe. And they’ll know this kids coaster toy is more fun than any other toy they own. So surprise them with their very own Hot Wheels roller coaster and watch ’em go! Made in the U.S.A. of U.S. and imported parts. Adult assembly required. 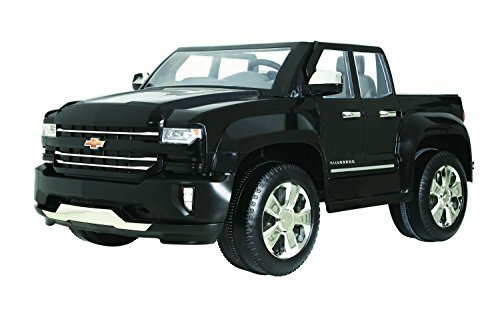 With all of the strength, reliability, and history of a real Chevrolet Silverado, the Rollplay 12V Chevy Silverado motorized car for kids is built strong to inspire the imaginary roads ahead! 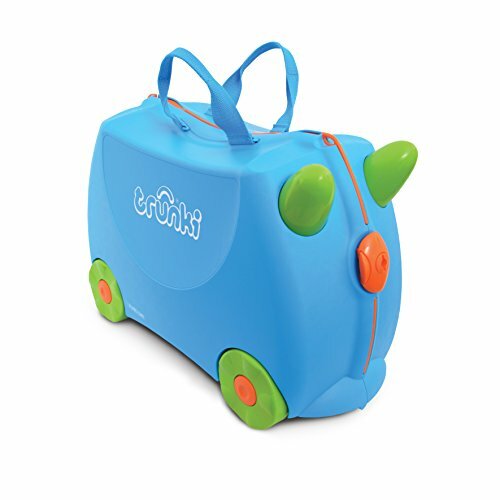 This premium battery-operated ride-on has two forward speeds: 2.5 mph and 5 mph and in reverse at 2.5 mph. A high-speed lockout feature can be used for younger drivers. The detailed dashboard adds to the truck's realistic effect, and kids love lighting up the open turf with real LED headlights. 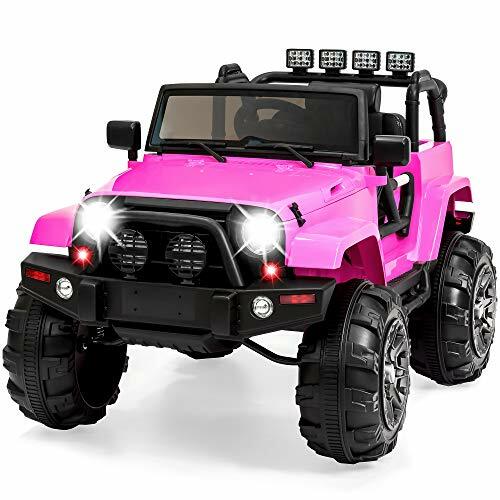 A horn and true engine noises sound off with the push of a button, and there's even an MP3 connector and speakers to let young 4x4 riders rock out to their favorite tunes playing in the background. Both front doors open and close, adding to the feeling that the Rollplay Chevy Silverado is the real deal. 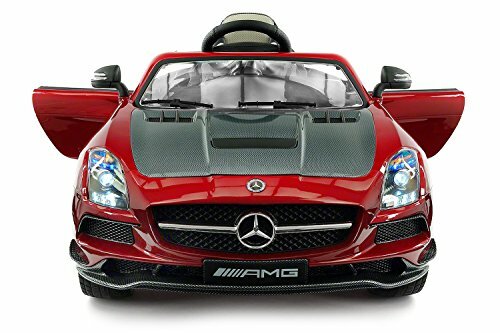 Designed for ages 3+, the ride-on has a maximum weight limit of 130 lb. Nothing's better than cruising in your truck, the sun shining down, and a juice box in hand. 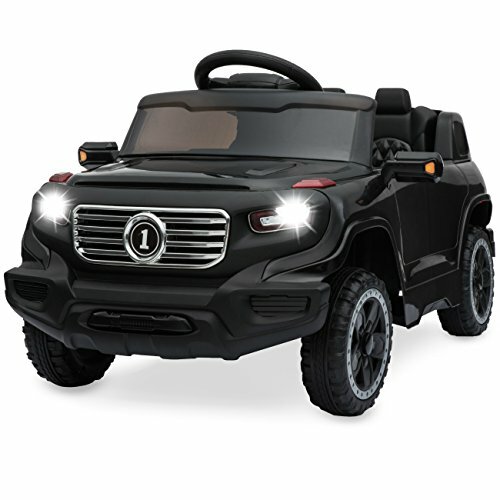 Start 'em young and add a car to the garage with this ride-on truck, complete with in-car and remote-control steering. Adventure awaits: get some grass in the treads of those traction wheels and conquer the backyard with a spring suspension system. 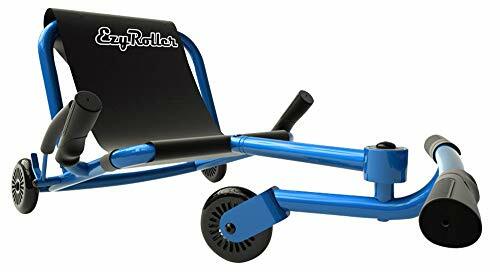 Our trucks are built large, scaled small, for your little one's biggest adventures.Specifications:Overall Dimensions: 45"(L) x 31"(W) x 31"(H)Seat: 15.5"(L) x 7.5"(W)Wheels: 14"(Dia) eachWeight Capacity: 65 lbs.Weight: 45 lbs.Material: ABS PlasticCar Battery: Rechargeable 12V 7Ah (included)Controller Battery: (2) 1.5 AAA (not included)Charge Time: 8-12 hrsRun Time: 1-2 hrsSpeed Range: 1.75-3.75 mphRecommended for ages: 3-8 yearsAssembly required (with instructions)Package Includes:Ride on carAC chargerRemote controlAUX cordASTM-certifiedBCP SKU: SKY2858⚠ WARNING: Battery posts, terminals, and related accessories can expose you to chemicals including lead and lead compounds, which are known to the State of California to cause cancer and birth defects or other reproductive harm, and are toxic and corrosive. Wash hands after handling. For more information go to www.P65Warnings.ca.gov. 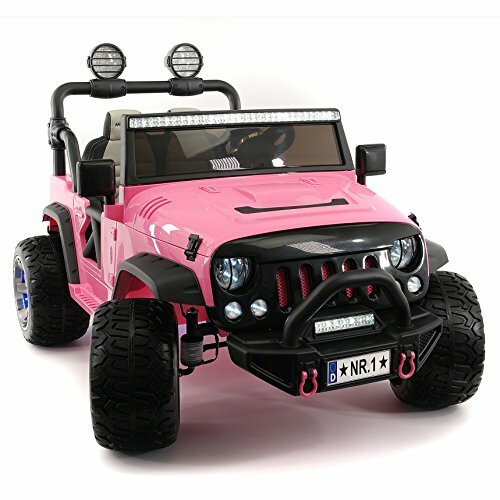 Adventure awaits your children with this ride-on truck! 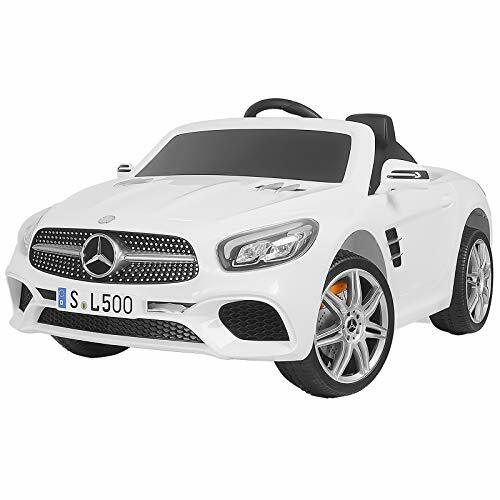 Let them cruise along with in-car steering while they jam out to their favorite tunes. Kids can drive freely on their own, but parents can step in with a remote control to make sure they stay out of danger for peace of mind. Built large and scaled small for your little one's biggest adventures. Specifications: Overall Dimensions: 37.5"(L) x 24"(W) x 19.5"(H) Floor-to-Seat: 6"(H) Weight Capacity: 44 lbs. Weight: 24 lbs. 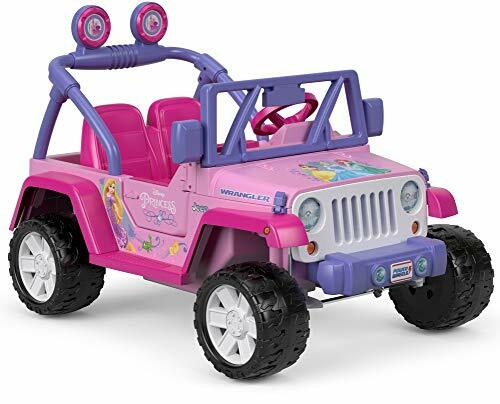 Material: Plastic, Metal Max Speed: 2.5 mph Charge Time: 8 - 12 hours Run TIme: 1 - 2 hours Battery Type: 6V 7AH Charger Type: DC 6V 700MA Speed Modes: Low, Medium, High Recommended for ages: 2+ years ASTM-certified Assembly required (with instructions) Package Includes: Ride-on car Remote Control Charger ⚠WARNING: WARNING: Battery posts, terminals, and related accessories can expose you to chemicals including lead and lead compounds, which are known to the State of California to cause cancer and birth defects or other reproductive harm, and are toxic and corrosive. Wash hands after handling. For more information go to www.P65Warnings.ca.gov. 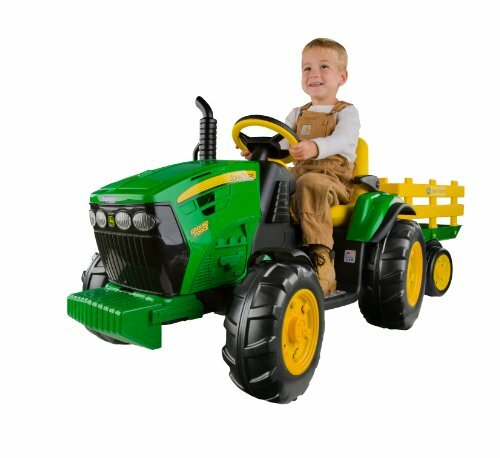 Fisher-Price brings the excitement of Power Wheels indoors so young drivers can take a ride with Thomas! 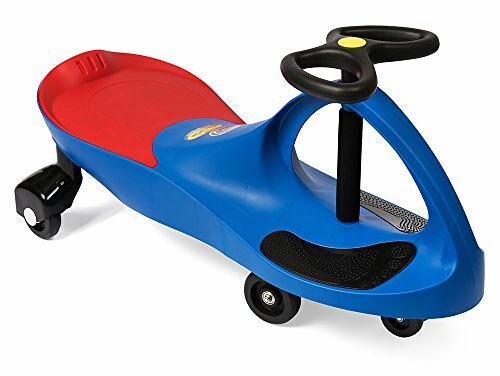 Specifically designed for toddlers, it offers toddler-friendly features including easy-to-use push-button operation, comfortable footrests and six volts of battery power for a fun but safe 1 mph forward speed on track and up to 2 mph off track. Get started by putting together the easy-to-assemble track and letting kids ride Thomas around & around! Then, when they’re ready to steer, simply take the train off the track for limitless adventures! Thomas fans can add to the fun by pressing the yellow whistle for phrases and sounds from their favorite blue engine! Start ‘em young and let your little adventurer forge paths all their own. 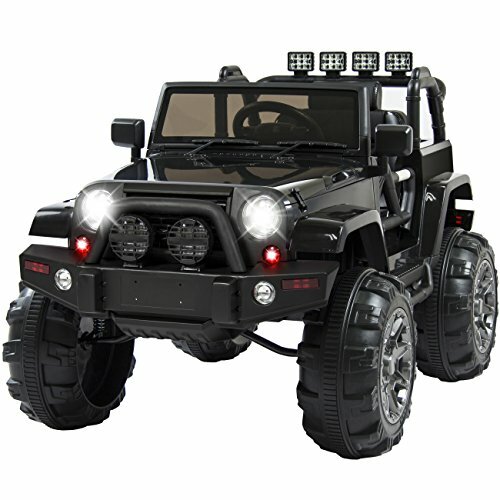 This 4-wheel ATV is designed with the real thing in mind including headlights, horns, and a powerful electric motor. Go outdoors and get some grass in the treads of traction wheels while conquering the backyard. 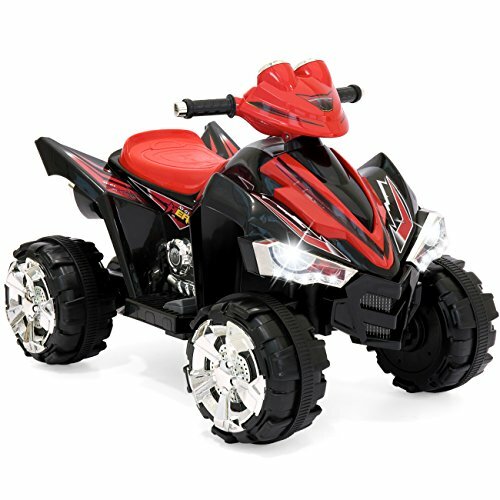 Our ATVs are built large, scaled small, for your little one’s biggest adventures. 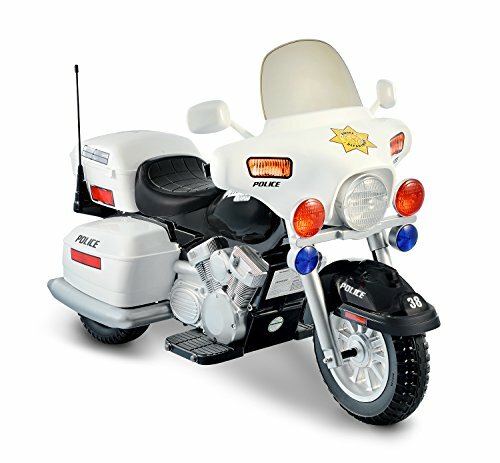 Specifications:Overall Dimensions: 34”(L) x 24”(H) x 25.5”(H) Seat: 12”(L) Weight Capacity: 66 lbs. Weight: 25 lbs. Material: Plastic Motor: 15W Max Speed: 2mph Recommended for ages: 3+ years ASTM-certified Assembly required (with instructions) Package Includes: Ride-on ATV Charger ⚠WARNING: Battery posts, terminals, and related accessories can expose you to chemicals including lead and lead compounds, which are known to the State of California to cause cancer and birth defects or other reproductive harm, and are toxic and corrosive. Wash hands after handling. For more information go to www.P65Warnings.ca.gov. Help your child protect and serve with their badge and juice box in hand. 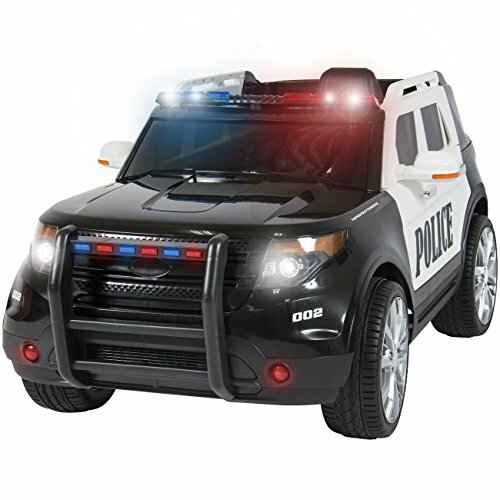 This ride-on police SUV comes complete with in-car and remote-control steering, allowing kids to learn while parents can ensure safety. Built with a realistic siren and flashing lights, this SUV is ready to chase pretend criminals at up to 2.3 mph. It’s time to buckle up and get patrolling! Specifications: Overall Dimensions: 45”(L) x 25”(W) x 22.5”(H) Seat: 14.5”(L) x 8”(W) Leg-Room: 12”(L) x 16”(W) Weight Capacity: 77 lbs. Weight: 42 lbs. 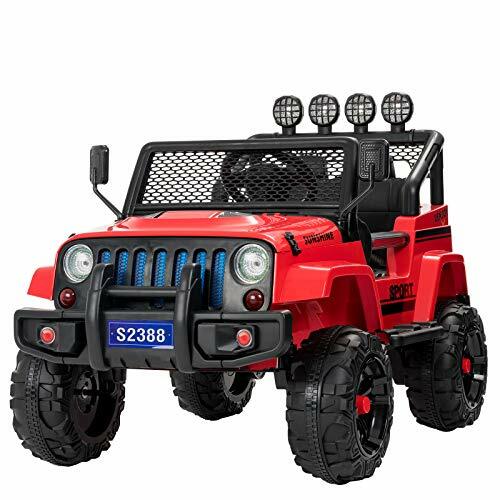 Material: Plastic Control Battery: (2) 1.5V AAA (not included) Charging Time: 8-10 hours Run Time: 1 hour Max Speed: 2.3 mph Intended for 1 child only Recommended Ages: 3-8 years Assembly required (with instructions) Package Includes: (2) 12V motors 12C 7Ah battery Charging cable Remote control ⚠WARNING: WARNING: Battery posts, terminals, and related accessories can expose you to chemicals including lead and lead compounds, which are known to the State of California to cause cancer and birth defects or other reproductive harm, and are toxic and corrosive. Wash hands after handling. For more information go to www.P65Warnings.ca.gov. 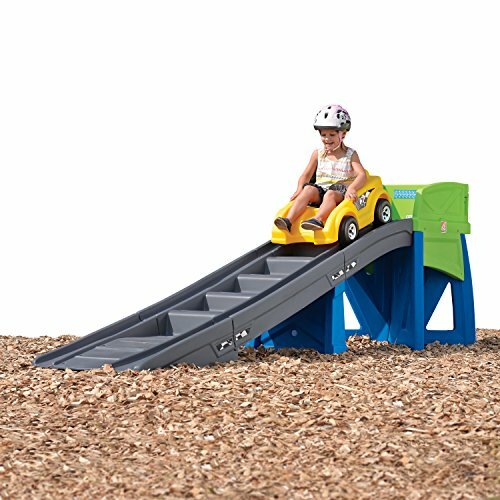 Turn your backyard into a mini amusement park with the extreme coaster by step2! get ready for an exciting ride with this gigantic roller coaster. Climbing the stairs to reset the ride helps to foster balance and develop gross motor skills while giving kids plenty of exercise during outdoor play. During playtime, preschoolers and older children can take turns riding this colorful toy coaster. Experience the thrill of a real roller coaster right in your backyard!. 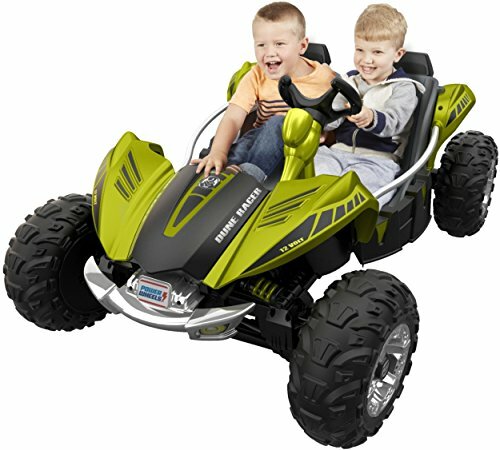 Compare prices on Kids Ride On at LiveSaler.com – use promo codes and coupons for best offers and deals. We work hard to get you amazing deals and collect all avail hot offers online and represent it in one place for the customers. Now our visitors can leverage benefits of big brands and heavy discounts available for that day and for famous brands. We try to makes comparison shopping easy with Product Reviews, Merchant Ratings, Deal Alerts & Coupons. Find Deals, Compare Prices, Read Reviews & Save Money.